Send out a wish for peace and prosperity with this unique holiday card. 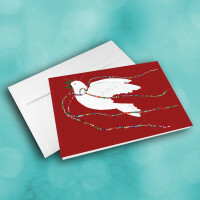 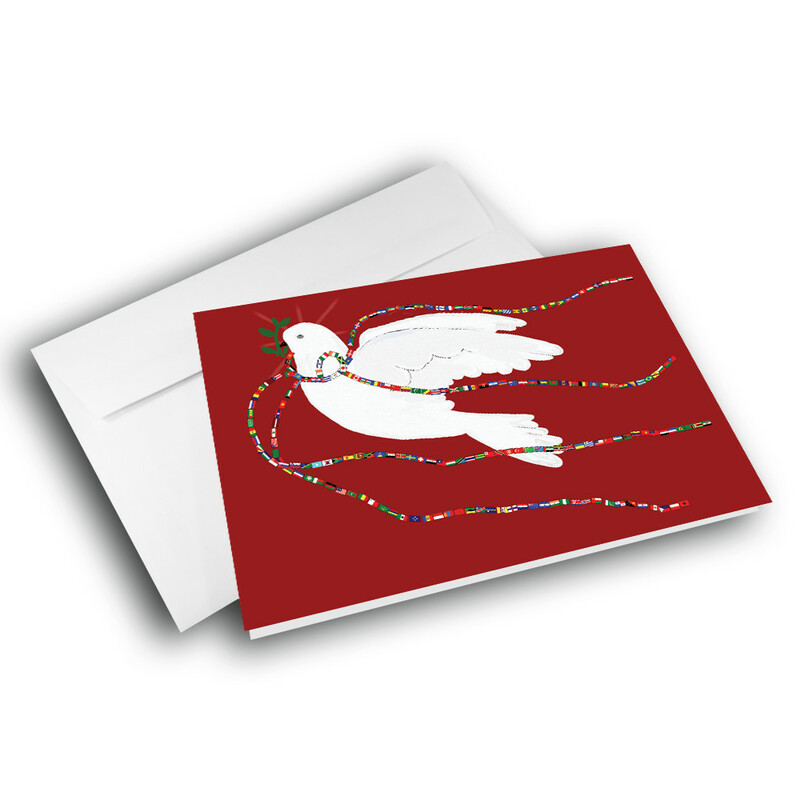 This holiday season, send a card that wishes for both world peace and indvidual prosperity. 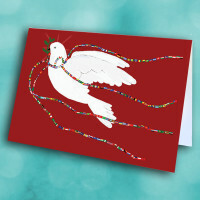 A white peace dove takes flight against a deep-red background, wrapped in a scarf of the world's flags. 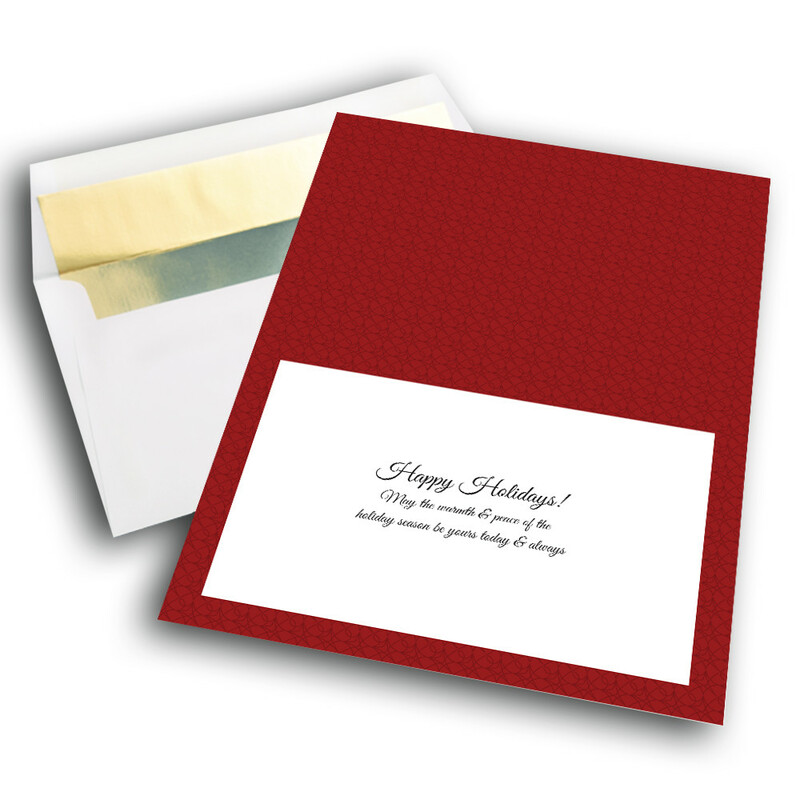 The inside is patterned on the same deep-red background, with a message of warmth and peace. 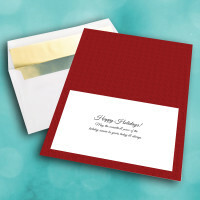 You can add personalization to give the card your own individual touch.